Through April 16th, all Scunci Head Wraps & Elastics are producing a $2 + Up Reward! There are items priced at $1.99 so they are FREE after +UP Reward! Plus if you have the 20% discount it is a little money maker! 30% off Gap Outlet Coupon that is valid for April 2nd, 2011. Save 30% off your entire purchase. Coupon is not valid at Gap Stores or online. Walgreens, today only, is having a Friends & Family Event offering 15% off Your Order Online when you enter code FUN15 at checkout. For in-store purchases, use this Printable Coupon. Note, you may receive 20% off instead on Walgreens and W Brand items. Travel plans? Graduation or wedding gift needed? Through 3/31, Macys.com drops the price of the American Explorer Luggage Desoto 4 Piece Set, originally $160, from $79.99 to $47.99. This set includes expandable upright, carry-on upright, shoulder tote and toiletry kit. Shipping is $8 and sales tax is charged in states with Macy's retail locations. Through 4/7, SouthwestVacations.com takes up to $100 off vacation packages at any destination via code SPRINGTVL. Note that your package must be booked between 3/28 and 6/30. Some surcharges may apply for weekends, holidays, or convention periods and a 7-day advanced purchase is required. Through 3/31, Puma.com drops the price of the Cell Cerano Mesh Women's Running Shoes from $75 to $41. Plus, code 25OFFPUMA drops the price to $30.75. Even better, this code also gets you free shipping, making this the lowest price we could find by $29. These shoes feature leather and mesh uppers and a rubber sole. There's a brand new $.40/1 Frigo String Cheese coupon available! There is no size restriction on the coupon. Walmart sells the single Frigo String Cheeses for $.40 each, making them FREE after this coupon!﻿ I just noticed those single serve cheeses last week at our new Super sized Walmart...they would make a good snack to hold you over if you tummy is growling at the store! ArtsCow has a *NEW* Deal Available. Right now you can get 3 Customized Cosmetic Bags for only $8 TOTAL!! Shipping Included!! What a DEAL!!! I am totally making a few of these. What great gifts!!! I’m excited : ) When you checkout enter code: IWD38BAGS and your total will ONLY be $8 with FREE shipping! You choose any medium-sized cosmetic bag and they can be individually designed. There is also NO quantity limit, so make sure to set the quantity to the total number of bags you would like to purchase (example– if you want to order 6 bags, set the quantity to 6). Many, many agencies are listed in attendence. If you know more, leave us a comment! Time’s a tickin’! Our Time Timer vendor is giving away their Time Timer App to help Mayer-Johnson’s loyal fans keep track of time. If you have an Apple device and want a chance to win the app’s promo code – like this post or tell us what activities you would use the timer for! Scotch Magic Tape on sale this week for just $1. Use the $1/1 Scotch Magic Tape printable and get it FREE! There is a limit of 2 per purchase (stated in the ad). Here are some of this week's deals (week of 3/27) at local stores. If you are not familiar with how to play the "drugstore game" you can find helpful info at my getting started tab above. Except for the Target coupons, you could use the other printable coupons at most local grocery stores and wal mart during your weekly shopping trip. If we collect another week, I will try to list better deals (hopefully) for next week. These are kind of slim pickings! *These figures are estimates and may not reflect your final order costs. Actual shipping costs will be calculated based on the shipping method selected during checkout. Actual sales tax is based on the final shipping address and is calculated at the time of shipment. • Online Coupon: Click to save an additional $0.50 off Band-Aid! • Save up to 20% on first aid needs from Johnson & Johnson! You'll earn $.59 in My Reward Dollars when this order ships. 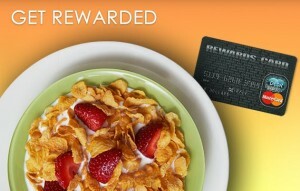 $5 off your next qualifying grocery purchase of $50 or more for 50 points! If you haven't already signed up for Recycle Bank you can read about it HERE. Check out this great deal on Eversave.com today! Get away from it all with a two-night stay at The Chateau Resort - choose from weekend or weeknight options.Click Here for more info! Blockbuster Express is offering a FREE movie code, good today 3/28/11 only! Enter code FREEMONDAY at any Blockbuster Express kiosk to get your movie rental FREE! Return your movie by 9 pm tomorrow to avoid a $1 charge. 12/31/11 or while supplies last. You just need to put the UPC's in an envelope with the form! YAY! I love when it is easy like that! Head HERE to print form! Coupon Network is run by the same company that puts out those "catalina" coupons at the cash register. I guess they've decided to go printable! There are currently over $106 in coupons available and they're different than any others you may have seen! Abbott Nutrition has 48-pack 2-oz Similac Advance Ready-to-Feed Formula for $41.94 - $28.85 code LUTEIN = $13.09. Shipping is free. *Note, code is limited to one request per household, one code per family. First time customers may save an additional 15% off with code THANKS15, making it $11.13. There is a $10 mail in rebate when you spend $25 in select W Brand products at Walgreens. The rebate is based before coupons are applied. It will print out on your receipt. The rebate also prints as (1) per household. Buy (4) and get $6.00 off instantly – plus get $4.50 catalina for free milk. This time it includes the smaller boxes of cereal! There are not a ton of good coupons, but on Friday the printable coupons will reset, so this deal will get better later in the week. Thanks to Forthemommas.com for this Great scenerio!